Did you know Janet Holm? 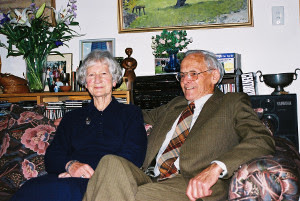 This remarkable Canterbury woman, who founded the Christchurch Environment Centre, the first in New Zealand, died in Wellington 14 July this year. With the blessing of her family, a group of friends are organising a Commemoration for her here in Christchurch on Saturday 17 November (Show weekend). Environmental campaigner and educator, tramper, mountaineer, clean air activist, historian and author, Janet motivated and inspired many. We would welcome any contributions, records, photos, and most of all, those who knew her to join us and her family who are coming from afar.